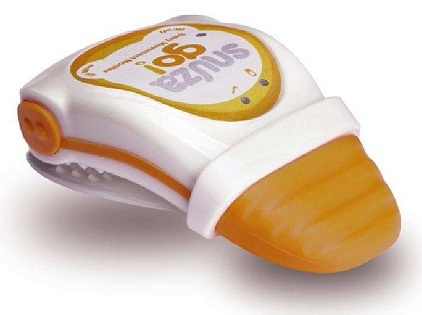 Balkowitsch Enterprises is now carrying the Snuza GO Infant Breathing Movement Baby Monitor! Snuza GO Infant Breathing Movement Baby Monitor. The value of Snuza monitors in today’s mobile world is significant as it is an 'out-and-about' monitor, unrestricted by the conditions imposed by other monitoring products. The innovative Snuza range offers unsurpassed technology in the world of baby monitoring in that it uniquely combines finely-tuned precision monitoring with mobility and ergonomics. Because Snuza go clips over the waistband of baby's diaper, it doesn’t matter where they sleep. Perfect for at home, when travelling or when visiting friends and family. The Snuza go has an audible alarm that can be set to alarm after 15, 18 or 20 seconds from last movement sensed. You can be assured that Snuza go is safe. There are no wires or cords that could potentially harm baby; your Snuza is made with hypo-allergenic, medical grade plastics; and importantly, does not send or receive radiofrequency signals. Comes with replaceable battery and comprehensive 1 year warranty. Snuza – Simple, Portable, Peace of Mind. 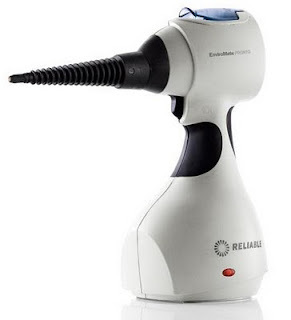 If you have any questions about this item please give us a call (800)355-2956. Balkowitsch Enterprises is now carrying the Reliable Portable Enviromate PRONTO P7 Steam Cleaner!! Reliable Portable Enviromate PRONTO P7 Steam Cleaner. DESTROY DIRT! DEFY WRINKLES! The new powerful and portable Pronto (P7) sanitizes surfaces and steams garments! This portable, powerful and efficient cleaning device makes it easy to clean hard to reach surfaces without wrist strain. The P7 is the safe and comfortable way to clean, sanitize and even freshen fabrics without harsh chemicals. PROTECT YOUR FAMILY! PROTECT THE ENVIRONMENT! Steam deodorizes and sanitizes with heat and moisture and since the only ingredient required for the EnviroMate Pronto (P7) is water, cleaning your home or work place has never been safer, healthier or more environmentally friendly. The natural alternative! If you have any questions please give us a call (800)355-2956.